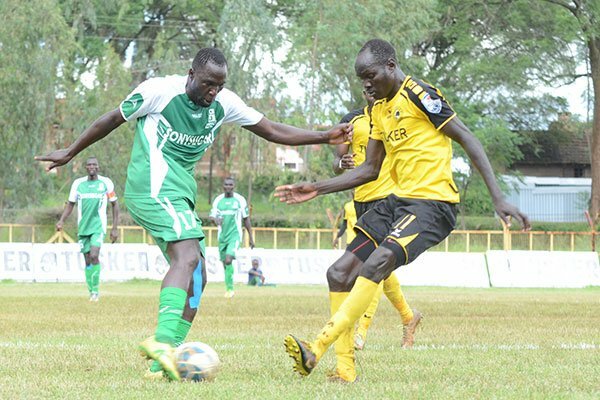 KENYA – Ugandan midfielder Robert Achema has made a short-term loan move from Tusker FC to Sony Sugar in the Kenyan Premier League. Achema who is contracted at Tusker joins Sony Sugar on a six months’ deal in hope for more playing time. He had joined Tusker in December last year on a 2-year deal but has so far failed to tie down a regular spot in the first team. He joins Sony Sugar alongside Tom Adwar from Nakamatt FC and striker Ben Mwamlangala (from Chemelil) who signed two years contracts each. Achema has previously turned up for SC Villa, BUL FC and Sadolin Paints (now Kansai Plascon) before moving to Kenyan side Western Stima at the start of 2017. As a player, the robust offensive midfielder can play on the wing and also as a second striker. His new side Sony Sugar is based in Awendo and finished 9th on the table last season having garnered 45 points. The millers who are also one time Kenyan Premier League champions will commence the 2018-19 season with a home tie against Tusker FC on Saturday 8th December. In the same docket, the club has parted ways with former Lweza FC and Soana goalkeeper Salim Sowedi who has had playing time hard to come his way since switching from Muhoroni Youth.